Multifunctional Compact represents a double size frame with a smaller than usual footprint for its size. This space saving model is at the centre of the compact range. 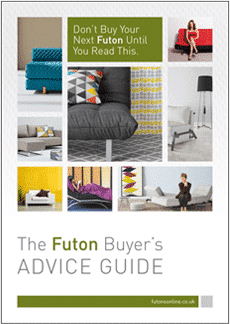 The Cubed folds across its width twice so is actually three section, most sofa beds fold along their length. The Cubed 140 cm has three options. chrome steel or Oak legs and an Upholstered arm. In 2009 using the same idea designer Per Weiss created a sister design, Cubed Deluxe 90. Both Double size and Chair/Bed are effortless to convert. Like all models in the I Style range the sitting/sleeping upholstered parts are the same and make use of cutting edge technology. 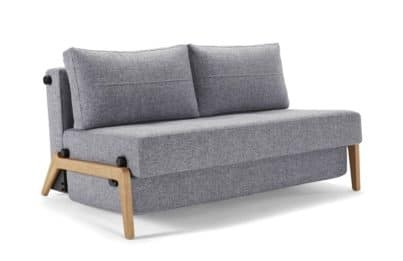 There is a “no sag” element built into the spring coils so you can be confident that over time the sofa bed will remain comfortable and deliver support for your back and shoulders. 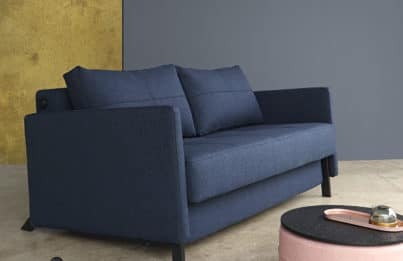 Multifunctional Compact sofa beds have little design features that gives them a unique appearance. For example the detailed stitching that adds a stylised finish to any fabric used.. 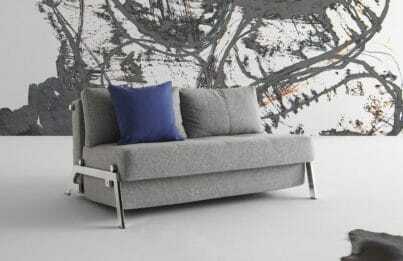 The ultra modern look these sofa beds have isn’t brash or sterile. In fact we hope you’ll agree they are inviting and contemporary. Another feature to emphasise is the conversion from sofa to bed and back again without effort. When buying an Innovation Living product please be assured that if an issue does arise it will be dealt with swiftly by an experienced team member.